We're going back to school in today's post. 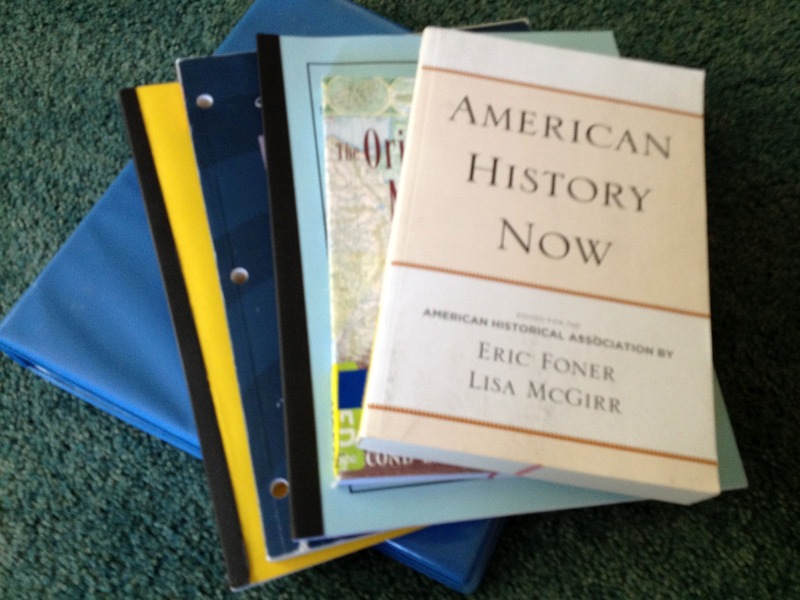 Earlier today I attended my first class of the new semester: History 401, a class which is all about the grades 6-12 California Social Science standards which I'm pretty sure is going to kick my rear end. Actually, not pretty sure...I am sure. Excited though - very, very excited! I feel like a Senior about to graduate. Sea Glass Quilt needs to be basted, quilted and bound. 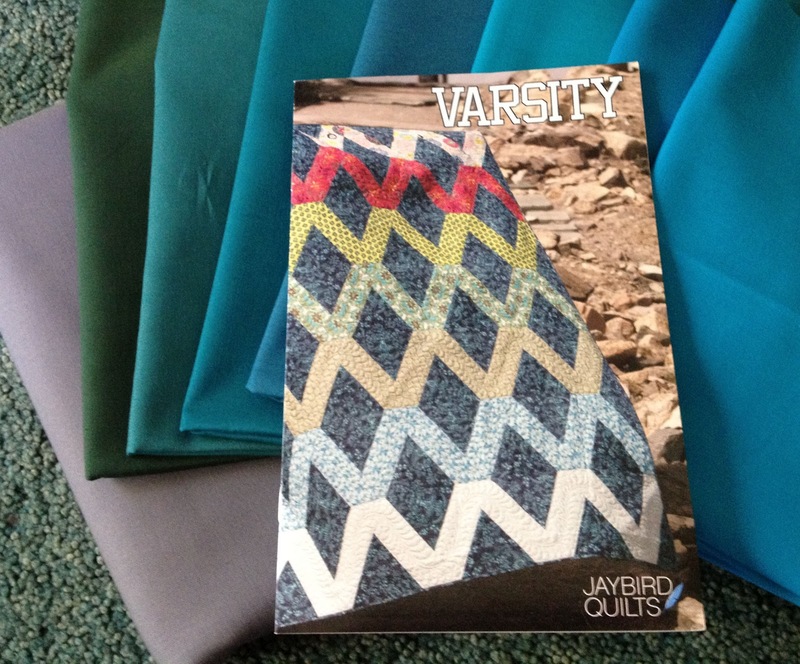 Quilt for the Younger Son: I am going to use the Varsity pattern by Julie Herman of Jaybird Quilts. The fabrics arrived today in the mail: Kona Steel, Lagoon, Turquoise, Cyan, Teal Blue, Glacier, Everglade and Forest. 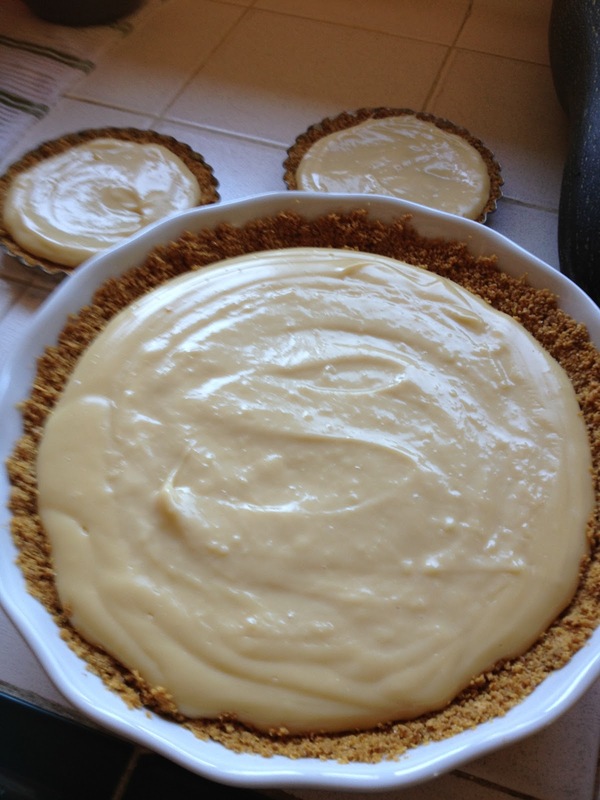 Pie testing: I have officially entered into the KCRW 4th Annual Good Food Pie Contest on Saturday, September 8, 2012 being held at The Los Angeles County Museum of Art (LACMA). Anybody wearing an apron to LACMA on that date will get in for free! 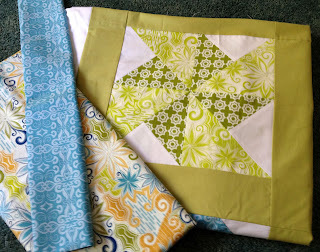 I'm linking up with Lee at Freshly Pieced for her WIP Wednesday feature. It's been ages! Thank you to Michelle of CityHouseStudio for guest hosting this week. That pie sounds delicious! Good luck with your class, too. 400 level= almost done!! 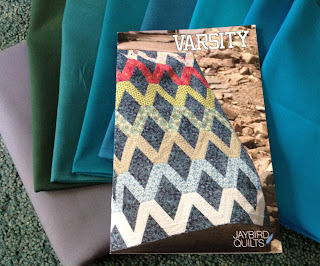 Love the look of the varsity quilt! Can't wait to see what you do with it. Did you get the recipe I sent you? Was it readable? Good luck with the school year, I know you'll do great!